In the Internet of Things even more devices are being connected wirelessly. For these devices to communicate with one another quickly, simultaneously and without error, new technologies are needed. 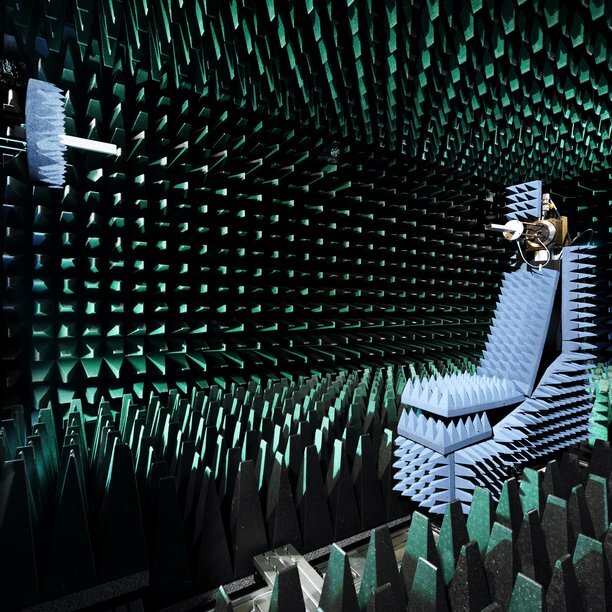 The Center for Wireless Technology Eindhoven (CWTe) combines state-of-the-art facilities with expertise in various disciplines to study and improve wireless systems and antennas. One of the research programs being pursued at the laboratory aims to achieve data speeds of 1 terabit per second. This is roughly one thousand times faster than today's WiFi. Scientists at the lab are also working on small, wireless sensors that draw their power from radio waves in the wireless network. A third program involves terahertz technology. This is being used by researchers to develop new techniques for razor-sharp medical imaging, and weapons detection using extremely-highfrequency signals. The fourth program investigates techniques for designing the next generation of radio telescopes. A special feature of the CWTe is that all the laboratories have full electromagnetic shielding from the outside world. This rules out any question of disruption by, for example, the signals for mobile telephony. Special windows that block electromagnetic fields, while allowing some daylight through, enable uninterrupted, precision research in a pleasant work environment. The CWTe cooperates regularly with research partners outside the university, such as NXP and Philips. External parties are provided with their own individual rooms, guaranteeing their privacy and security. For more information, interested parties should contact Rainier van Dommele.